Stephen Villere is a member of the International Association of Computer Investigative Specialists (IACIS) and a Certified Computer Forensic Examiner (CFCE), the most recognized and respected certification in the field of Digital Forensics. After earning the CFCE, he became a Coach for the IACIS Peer Review Phase of the CFCE process. 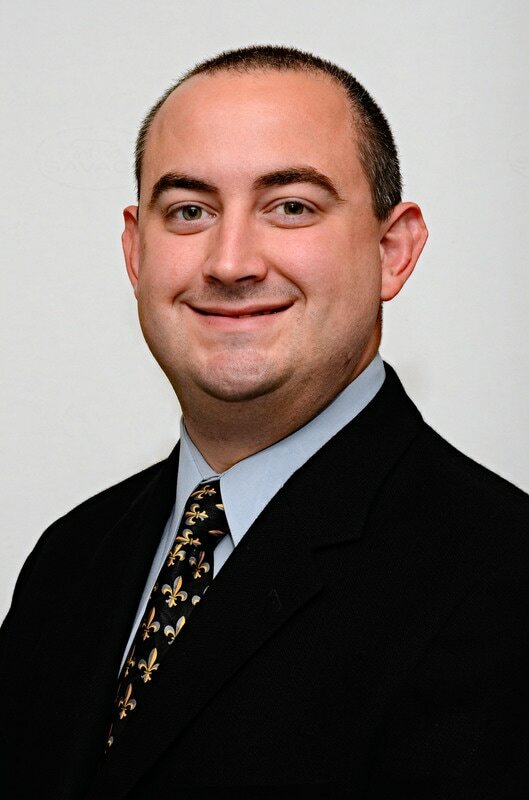 Mr. Villere currently serves as the United States Southeast Regional Manager for the IACIS Peer Review Phase of the CFCE Process, where he now oversees 40 Coaches. Mr. Villere has been in the Law Enforcement field since 2002. He is currently the Senior Digital Forensics Analyst for the Jefferson Parish Sheriff’s Office Crime Laboratory Digital Forensics Unit. During the beginning of his law enforcement career, he was a Crime Scene Technician with the New Orleans Police Department Crime Laboratory. During this time, he was the primary technician on twenty five homicide investigations. In 2003, because of his existing knowledge and enthusiasm for computers and electronics, he was recruited to develop a Computer Forensics Examination Section, where he served as the first analyst. Within a year he was selected to join the Gulf Coast Computer Forensics Lab (GCCFL), a federally funded task force that brought together local, state, and federal levels of individuals for training on equipment and the exchange of forensics information. This model was adapted by the current Regional Computer Forensics Labs (RCFL) that exists throughout the United States. In 2008, Mr. Villere was recruited by Jefferson Parish Sheriff’s Office (JPSO) to develop their Computer Forensics Examination Section. He was assigned to the Investigations Bureau in the Economic Crime Unit and became a sworn officer. Because of the high success rate and the increased volume within this section, the Digital Forensics Unit was created and was made part of the Crime Laboratory. Villere serves as the senior analyst for the multi-analyst team, which conducts complex examinations of computers, mobile devices, video surveillance systems, vehicle infotainment systems, and other digital devices. This unit acts as a pioneer in the field, beta testing new products and working directly with manufactures to ensure to improve systems across digital forensics. In addition to earning a Bachelor’s of Applied Science Degree in Computer Information Science from Loyola University of New Orleans, he has continued his education and training by attending discipline specific courses throughout his career. Attending training from The National White Collar Crime Center (NW3C), Accessdata, Paraben, International Association of Computer Investigative Specialists (IACIS), Homeland Security, Public Agency Training Council (PATC), Louisiana Attorney General’s Office (LADOJ), Intelligent Devices, United States Secret Service (USSS) National Computer Forensics Institute (NCFI), Cellebrite, BerlaCorp, Lantern, Blackfin Security Group, SANS, and BlackBag. In 2014, earned his Computer Forensic Analyst Certification (GCFA) offered by the Global Information Assurance Certification (GIAC), the leading provider of Cyber Security Certifications. Mr. Villere plays an active role in the academic and law enforcement community. He serves as a guest lecturer at Loyola University of New Orleans and has provided training at the local, national, and international level. Mr. Villere has provided expert witness testimony in the fields of Computer Forensic Analysis, Digital Forensic Analysis, and Mobile Device Forensics.